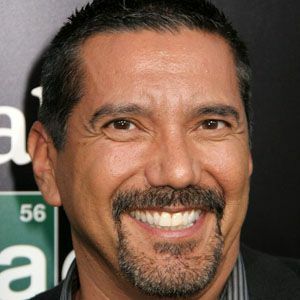 Most famous for playing Drug Enforcement Administration Agent Steven Gomez in the popular television series Breaking Bad, this screen actor also appeared in the 2006 thriller First Snow and in the comedy movie Beerfest. He studied theatre at Eastern New Mexico University. Beginning in 2013, he served on the School Board of his hometown of Albuquerque, New Mexico. He married Cherise Desiree Quezada in 2007; the couple subsequently welcomed four children. He and Krysten Ritter both played recurring roles on Breaking Bad.